The Jewish Autonomous Oblast (Russian: Евре́йская автоно́мная о́бласть, Yevreyskaya avtonomnaya oblast; Yiddish: ייִדישע אװטאָנאָמע געגנט‎, yidishe avtonome gegnt) is a federal subject of Russia in the Russian Far East, bordering Khabarovsk Krai and Amur Oblast in Russia and Heilongjiang province in China. Its administrative center is the town of Birobidzhan. As of the 2010 Census, JAO's population was 176,558 people, or 0.1% of the total population of Russia. Judaism is practiced by only 0.2% of the population of the JAO. Per Article 65 of the Constitution of Russia, the JAO is Russia's only autonomous oblast. Aside from Israel, it is the world's only official Jewish territory. By 2010, according to data provided by the Russian Census Bureau, there were only 1,628 people of Jewish descent remaining in the JAO (less than 1% of the population), while ethnic Russians made up 92.7% of the JAO population. The territory has a monsoonal/anti-cyclonic climate, with warm, wet, humid summers due to the influence of the East Asian monsoon; and cold, dry, windy conditions prevailing in the winter months courtesy of the Siberian high-pressure system. In 1858, the northern bank of the Amur River, including the territory of today's Jewish Autonomous Oblast, became incorporated into the Russian Empire pursuant to the Treaty of Aigun and Convention of Peking. In December 1858, the Russian government authorized formation of the Amur Cossacks to protect the southeast boundary of Siberia and communications on the Amur and Ussuri rivers. This military colonization included settlers from Transbaikalia. During 1858–82, many settlements consisting of wooden houses were founded. It is estimated that as much as 40,000 men from the Russian military moved into the region. Expeditions of scientists including geographers, ethnographers, naturalists, and botanists such as Venyukov, Leopold von Schrenck, Karl Maximovich, Radde, and Vladimir Leontyevich Komarov promoted research in the area. In 1898, construction began on the Trans-Siberian Railway connecting Chita and Vladivostok. The project produced a large influx of new settlers and the foundation of new settlements. Between 1908 and 1912, stations opened at Volochayevka, Obluchye, Bira, Birakan, Londoko, In, and Tikhonkaya. The railway construction finished in October 1916 with the opening of the 2,590-meter (8,500 ft) Khabarovsk Bridge across the Amur at Khabarovsk. During this time, before the revolution, most local inhabitants were farmers. The only industrial enterprise was the Tungussky timber mill, although gold was mined in the Sutara River, and there were some small railway workshops. In 1922, during the Russian Civil War, the territory of the future Jewish Autonomous Oblast was the scene of Battle of Volochayevka. Although Judaism as a religion ran counter to the Bolshevik party policy of atheism, Vladimir Lenin wanted to appease minority groups to gain their support and provide examples of tolerance. Joseph Stalin, who took over from Lenin in 1924, initially continued this policy: secular Jews were heavily represented in the top layers of the Soviet bureaucracy, including the USSR′s security/intelligence apparatus, until the late 1930s. In 1924, the unemployment rate among Jews exceeded 30%, partially as a result of pogroms but also as a result of communism, which prohibited people from being craftspeople and small businessmen. With the goal of getting Jews back to work to be more productive members of society, the government established Komzet, the committee for the agricultural settlement of Jews. The Soviet government entertained the idea of resettling all Jews in the USSR in a designated territory where they would be able to pursue a lifestyle “socialist in content and national in form”. The Soviets also wanted to offer an alternative to Zionism, the establishment of Palestine as a Jewish homeland. Socialist Zionists such as Ber Borochov were gaining followers at that time and Zionism was a rival ideology to Marxism among left-wing Jews. The location that was initially considered in the early 1920s was Crimea, which already had a significant Jewish population Two Jewish districts (raiony) were formed in Crimea and three in south Ukraine. However, an alternative scheme, perceived as more advantageous, was put into practice. On 28 March 1928, the Presidium of the General Executive Committee of the USSR passed the decree "On the attaching for Komzet of free territory near the Amur River in the Far East for settlement of the working Jews." The decree meant "a possibility of establishment of a Jewish administrative territorial unit on the territory of the called region". The new territory was initially called the Birobidzhan Jewish National Raion. 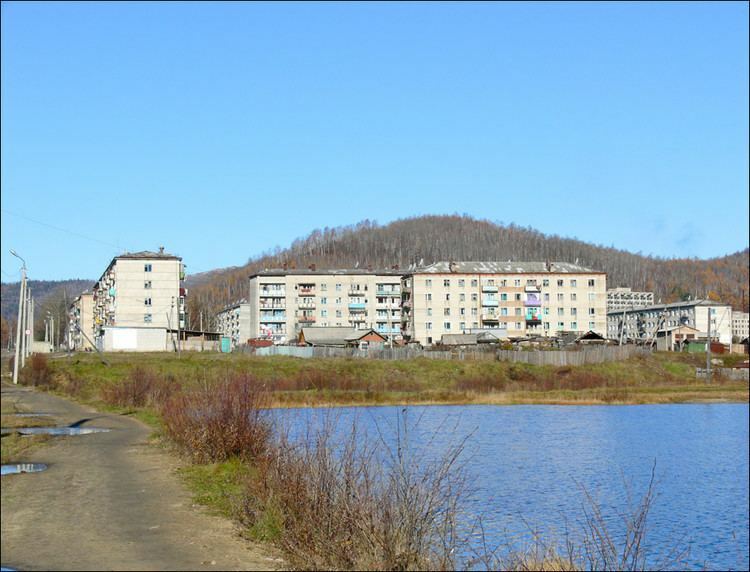 Birobidzhan had a harsh geography and climate: it was mountainous, covered with virgin forests of oak, pine and cedar, and also swamplands, and any new settlers would have to build their lives from scratch. To make colonization more enticing, the Soviet government allowed private land-ownership. This led to many non-Jews settling in the oblast to get a free farm. In the spring of 1928, 654 Jews arrived to settle in the area; however, by October 1928, 49.7% of them had left because of the severe conditions. In the summer of 1928, there were torrential rains that flooded the crops and an outbreak of anthrax that killed the cattle. On 7 May 1934, the Presidium of the General Executive Committee accepted the decree on its transformation into the Jewish Autonomous Region within the Russian Federation. In 1938, with formation of the Khabarovsk Territory, the Jewish Autonomous Region (JAR) was included in its structure. By the 1930s, a massive propaganda campaign developed to induce more Jewish settlers to move there. The campaign partly incorporated the standard Soviet propaganda tools of the era and included posters and Yiddish-language novels describing a socialist utopia there. In one instance, leaflets promoting Birobidzhan were dropped from an airplane over a Jewish neighborhood in Belarus. In another instance, a government-produced Yiddish film called Seekers of Happiness told the story of a Jewish family that made a new life for itself in Birobidzhan. Early Jewish settlements included Valdgeym, dating from 1928, which included the first collective farm established in the oblast. Amurzet, which was the center of Jewish settlement south of Birobidzhan from 1929 to 1939, and Smidovich. By 1930, there were 3 Jewish schools in 9 settlements. By 1932, the State Planning Committee ratified the first estimated figures of the economic plan of the Birobidjan region as a separate economic unit. The Organization for Jewish Colonisation in the Soviet Union, a Jewish Communist organization in North America, successfully encouraged the immigration of some US residents, such as the family of spy George Koval, which arrived in 1932. Some 1,200 non-Soviet Jews chose to settle in Birobidzhan. 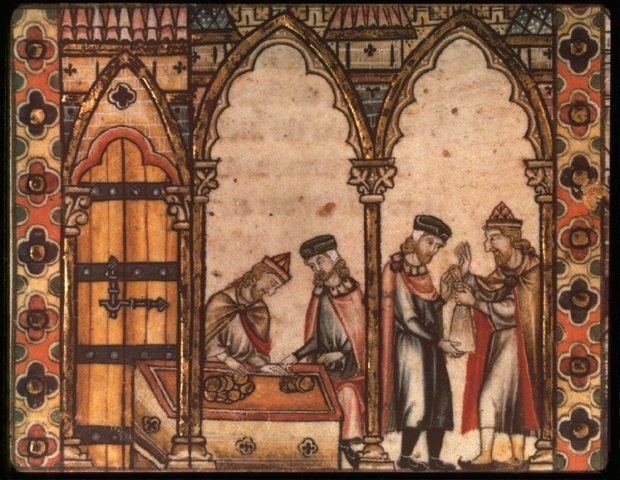 As the Jewish population grew, so did the impact of Yiddish culture on the region. The settlers established a Yiddish newspaper, the Birobidzhaner Shtern; a theater troupe was created; and streets being built in the new city were named after prominent Yiddish authors such as Sholom Aleichem and I. L. Peretz. In 1936, only 2 years after the JAO was founded, Stalin targeted Jews living in the JAO in purges. The Jewish population of JAO reached a pre-war peak of 20,000 in 1937. According to the 1939 population census, 17,695 Jews lived in the region (16% of the total population). After the war ended in 1945, there was renewed interest in the idea of Birobidzhan as a potential home for Jewish refugees. The Jewish population in the region peaked at around 46,000-50,000 Jews in 1948, around 25% of the entire population of the JAO. However, in 1948, Stalin's anti-Jewish purges made living in the JAO unappealing. Jews were no longer able to get jobs or attend graduate school. Stalin died in 1953. The census of 1959 found that the Jewish population of the JAO had declined by approximately 50%, down to 14,269 persons. A synagogue opened at the end of World War II but closed in the mid 1960s after a fire left it severely damaged. In 1980, a Yiddish school was opened in Valdgeym. According to the 1989 Soviet Census, there were 8,887 Jews living in the JAO, or 4% of the total JAO population of 214,085. In 1991, after the breakup of the Soviet Union, the Jewish Autonomous Oblast moved from the jurisdiction of Khabarovsk Krai to the jurisdiction of the Russian Federation. However, by that time, most of the Jews had emigrated from the Soviet Union and the remaining Jews constituted fewer than 2% of the local population. In early 1996, 872 people, or 20% of the Jewish population at that time, emigrated to Tel Aviv via chartered flights. According to an article published in 2000, Birobidzhan has several state-run schools that teach Yiddish, a Yiddish school for religious instruction and a kindergarten. The five- to seven-year-olds spend two lessons a week learning to speak Yiddish, as well as being taught Jewish songs, dance, and traditions. As of 2002, 2,357 Jews were living in the JAO. In 2002, L'Chayim, Comrade Stalin!, a documentary on Stalin's creation of the Jewish Autonomous Region and its settlement, was released by The Cinema Guild. In addition to being a history of the creation of the Jewish Autonomous Oblast, the film features scenes of contemporary Birobidzhan and interviews with Jewish residents. A 2004 article stated that the number of Jews in the region "was now growing". As of 2005, Amurzet had a small active Jewish community. A 2006 article in The Washington Times stated that Yiddish is taught in the schools, a Yiddish radio station is in operation, and the Birobidzhaner Shtern newspaper includes a section in Yiddish. An April 2007 article in The Jerusalem Post claimed that, at the time, approximately 4,000 Jews remained in the JAO. The article cited Mordechai Scheiner, the Chief Rabbi of the JAO from 2002 to 2011, who said that, at the time the article was published, Jewish culture was enjoying a religious and cultural resurgence. By 2010, according to data provided by the Russian Census Bureau, there were only approximately 1,600 people of Jewish descent remaining in the JAO (1% of the total population), while ethnic Russians made up 92.7% of the JAO population. According to an article published in 2010, Yiddish is the language of instruction in only one of Birobidzhan's 14 public schools. Two schools, representing a quarter of the city's students, offer compulsory Yiddish classes for children aged 6 to 10. As of 2012, the Birobidzhaner Shtern continues to publish 2 or 3 pages per week in Yiddish and one local elementary school still teaches Yiddish. According to a 2012 article, "only a very small minority, mostly seniors, speak Yiddish", a new Chabad-sponsored synagogue opened at 14a Sholom-Aleichem Street, and The Amur State University named for Sholom Aleichem offers a Yiddish course. According to a 2015 article, Kosher meat arrives by train from Moscow every few weeks, a Sunday school functions, and there is also a minyan on Friday night and Shabbat. In 2013, there were proposals to merge the JAO with Khabarovsk Krai or with Amur Oblast. The proposals were rejected by the residents, as well as the Jewish community of Russia, and led to protests. There are also questions as to whether a merger would be allowed pursuant to the Constitution of Russia and whether a merger would require a national referendum. Citizens of the JAO almost all oppose such a merger, yet citizens of neighboring oblasts generally support the idea. The Jewish Autonomous Oblast is part of the Far Eastern Economic Region; it has well-developed industry and agriculture and a dense transportation network. Its status as a free economic zone increases the opportunities for economic development. The oblast's rich mineral and building and finishing material resources are in great demand on the Russian market. Nonferrous metallurgy, engineering, metalworking, and the building material, forest, woodworking, light, and food industries are the most highly developed industrial sectors. Agriculture is the Jewish Autonomous Oblast's main economic sector owing to fertile soils and a moist climate. The region's well-developed transportation network consists of 530 km of railways, including the Trans-Siberian Railway; 600 km of waterways along the Amur and Tunguska rivers; and 1900 km of roads, including 1600 km of paved roads. The most important road is the Khabarovsk-Birobidzhan-Obluchye-Amur Region highway with ferry service across the Amur. The Birobidzhan Yuzhniy Airfield, in the center of the region, connects Birobidzhan with Khabarovsk and outlying district centers. 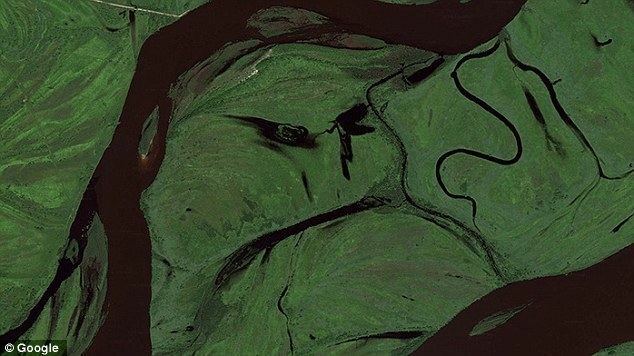 The Amur Bridge is a 19.9 km long, $355 million, bridge under construction that will link Nizhneleninskoye in the Jewish Autonomous Oblast with Tongjiang in the Heilongjiang Province of China. The bridge is expected to open in October 2019 and is expected to transport more than 3 million metric tons of cargo and 1.5 million passengers per year. Population: 176,558 (2010 Census); 190,915 (2002 Census); 215,937 (1989 Census). The 2010 Census reported the largest group to be the 160,185 ethnic Russians (92.7%), followed by 4,871 ethnic Ukrainians (2.8%), and 1,628 ethnic Jews (1%). Additionally, 3,832 people were registered from administrative databases, and could not declare an ethnicity. It is estimated that the proportion of ethnicities in this group is the same as that of the declared group. Although it is taught in 3 schools in the region, there are almost no Yiddish speakers remaining. According to a 2012 survey 22.6% of the population of the Jewish Autonomous Oblast adhere to Russian Orthodoxy, 6% are Orthodox Christians of other church jurisdictions or Orthodox believers who aren't members of any church, and 9% are unaffiliated or generic Christians. Judaism is practiced by 0.2% of the population. In addition, 35% of the population identify as "spiritual but not religious", 22% profess atheism, and 5.2% follow other religions or declined to answer the question.